.TONIGHT...SW winds 10 to 20 kt. Seas 3 to 5 ft.
.WED...W to SW winds 15 to 25 kt. Seas 4 to 6 ft.
.WED NIGHT...W winds 10 to 20 kt. Seas 4 to 6 ft.
.THU NIGHT...SW winds 10 to 20 kt. Seas 3 to 6 ft.
.FRI...SW winds 15 to 25 kt. Seas 4 to 8 ft.
.FRI NIGHT...NW winds 20 to 30 kt. Seas 6 to 10 ft.
.SAT...N to NE winds 10 to 20 kt. Seas 5 to 8 ft.
.SAT NIGHT...E to SE winds less than 10 kt. 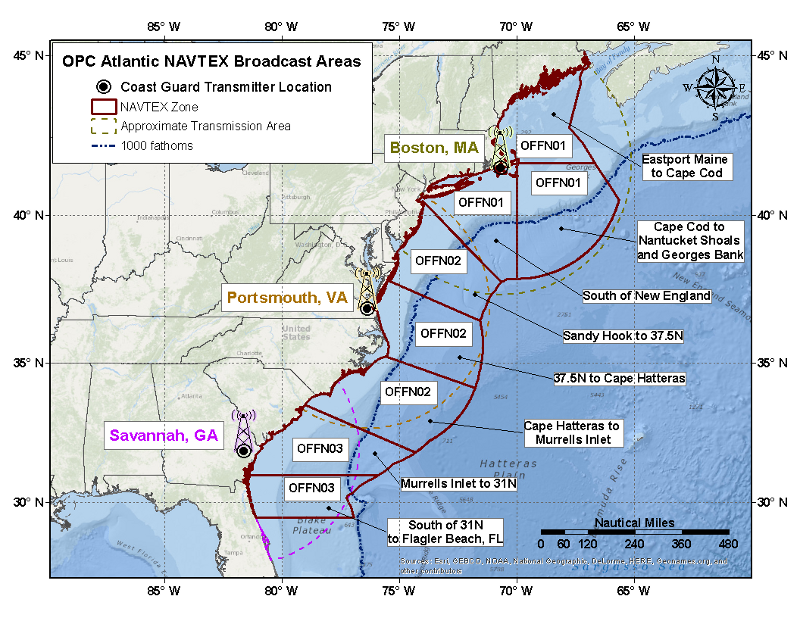 Seas 3 to 6 ft.
Below is a map of the Array NAVTEX Offshore Waters Forecast. Clicking on a zone will display the forecast for that area.